I finally got started on the QOV tops for our Stitching Sisters group. Before church, I got this lovely top loaded and one row quilted. After company for lunch followed by a walk, I got most of the rest done. A short nap, and I finally finished it! This top was made by Val and it is beautiful as always. My pictures do not do it justice. I used a Panto called Eagles Landing from Digitech and Cool Grey thread by Glide. Next is a top by Lynda. I haven’t quilted any of her tops before. Isn’t this one a beauty? So this is the design part of my day, how will I quilt this one? Stay tuned! Isn’t that an old fashioned phrase? They are so great – I like the top one a LOT!!! Another to add to the bucket list! Lovely job with those QOV tops. 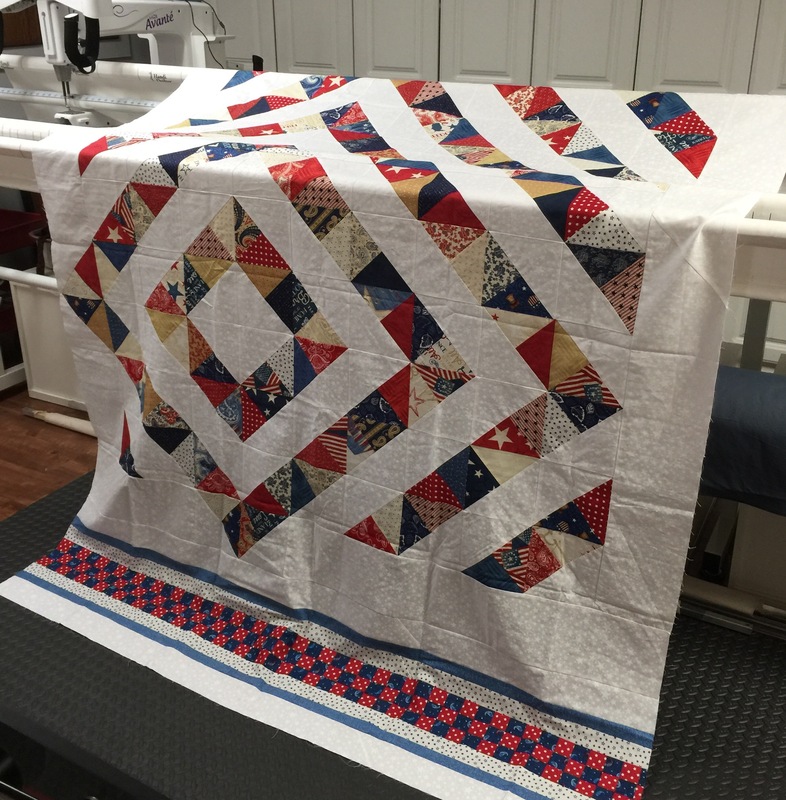 You certainly do a wonderful job quilting the QOV tops. 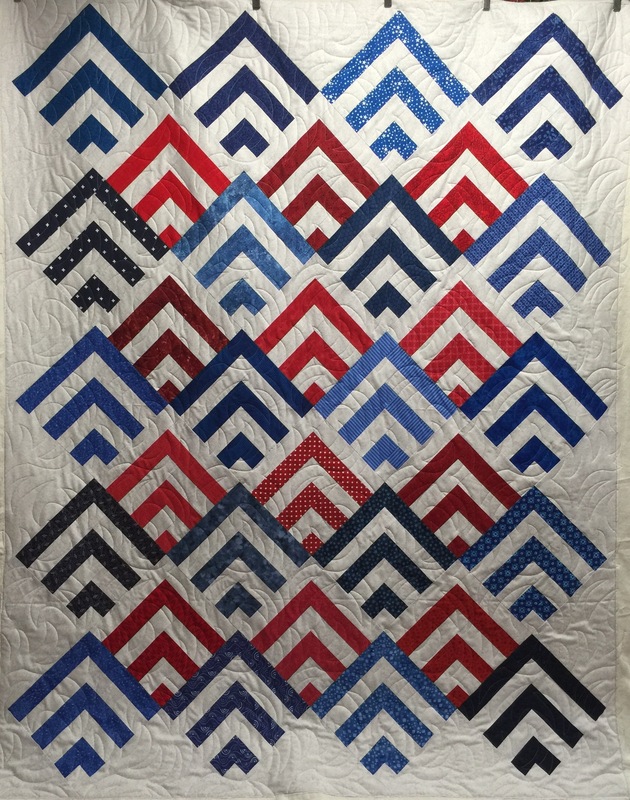 We appreciate your beautiful quilting, Katy! Beautiful quilts! 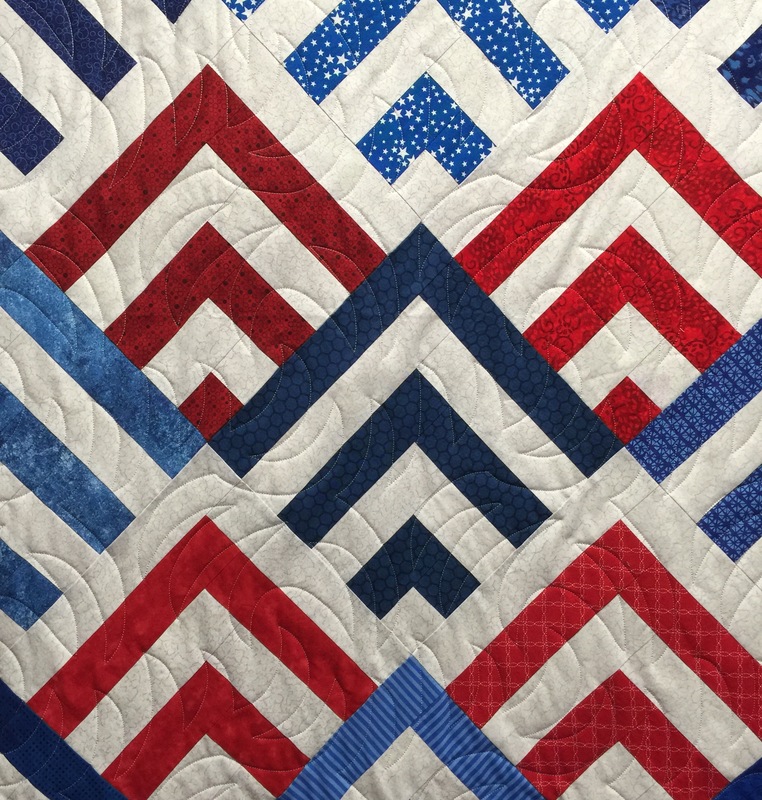 Cannot wait to see how you decide to quilt the second one…love the little checkerboard border on that one! Love both of these quilts, and look forward to seeing what you do with Lynda’s.